Let’s really get into some value here. 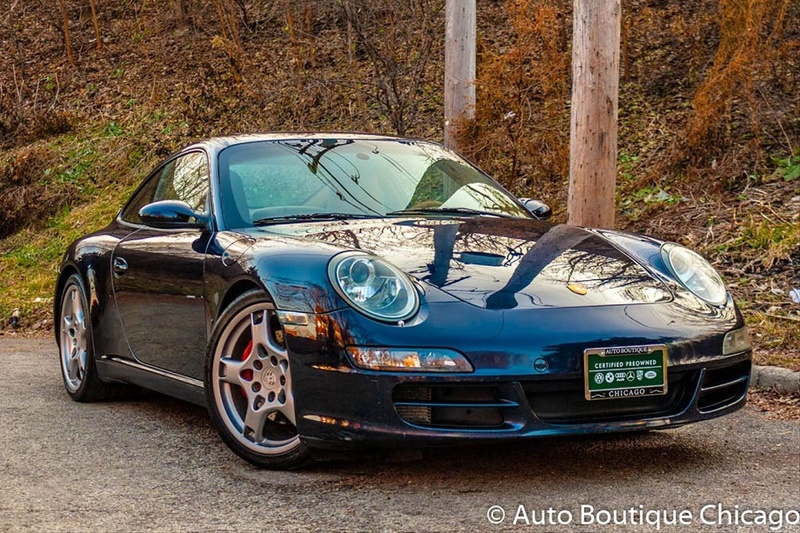 Here we have a Midnight Blue Metallic 2006 Porsche 911 Carrera S Coupe, located in Chicago, with Sand Beige leather interior and a 6-speed manual transmission. It’s been driven a bit, to the tune of 133,948 miles, which accounts for the pretty low price: $23,995. For a Carrera S! 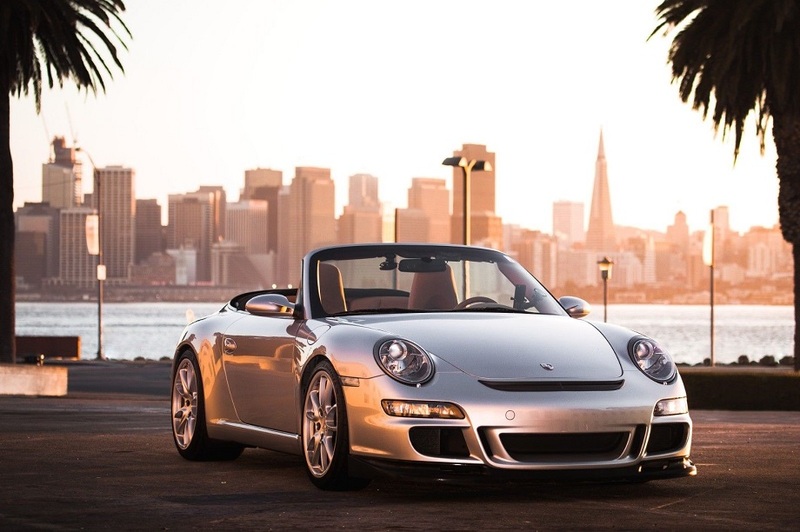 We usually look to the 996 when thinking purely about performance value, but the 997 has offered the same perks in a better all-around package. Gone are the droopy headlights and somewhat wavy lines. The interior, while still not awesome, is much improved. And from a performance perspective everything has taken an evolutionary step forward. In the case of the Carrera S that means you’re getting 355 hp from the 3.8 liter flat-6. That’s 35 hp more than you could get from the 996. Larger brake discs front and rear along with PASM as standard helped fill out the package. 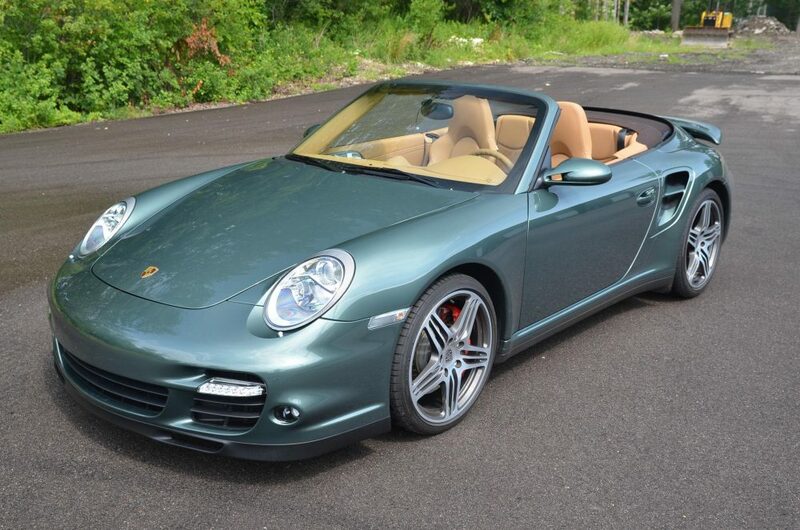 And unlike the 996, where the S only was available as the Carrera 4, this one sends its power only to the rear wheels. For pure value this might be as good as it gets. 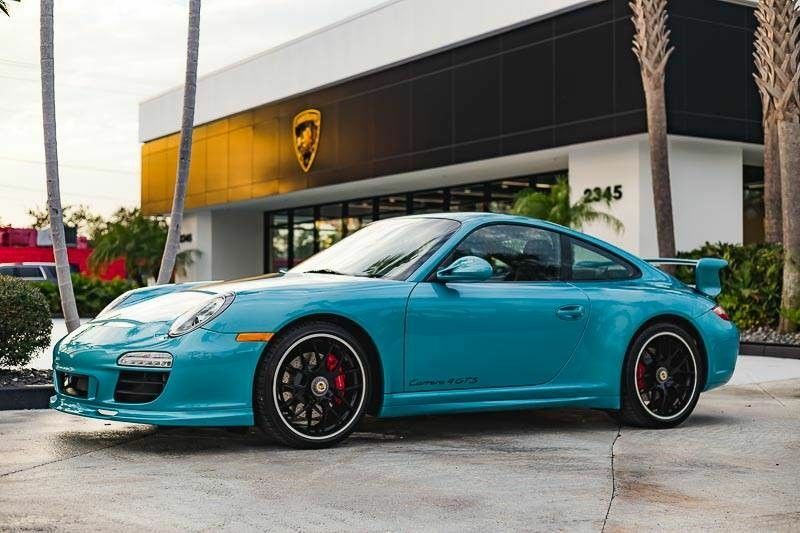 When I previously featured an Ipanema Blue Metallic 2012 Porsche 911 Carrera 4 GTS it was one of the few times I’d seen the color come up for sale. Here we have another nearly identical 911. Same year and same model though optioned slightly differently. Hilariously it is priced $1 above the asking price of the previous example I featured. It’s Price is Right bidding on eBay! Let’s get to those different options because they’re not insignificant. Most importantly this Carrera 4 GTS is equipped with PDK rather than a 6-speed manual. That’s a big deal on the 997 GTS. We’ll get to that in a moment. The other significant option is that this one came with the Aerokit Cup. It’s an interesting choice that certainly provides a little more raciness to the exterior. There are a few other optional differences but other than Sports Suspension, which the other GTS had while this one does not, they are mostly minor and not much to get riled up about. Ipanema wasn’t a terribly popular color for the 997. It’s why we don’t see a lot of them. 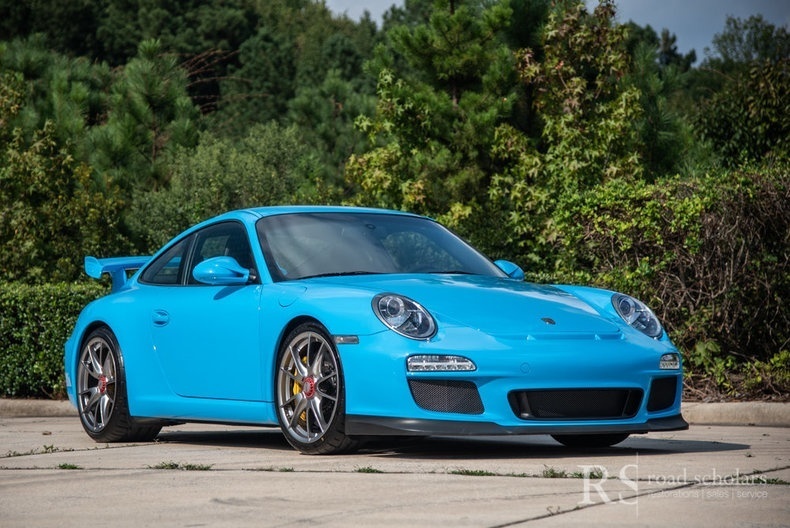 But bright colors seems like they are back in style on 911s so maybe it’ll see a surge in popularity. I have been thinking a lot about these cars lately. 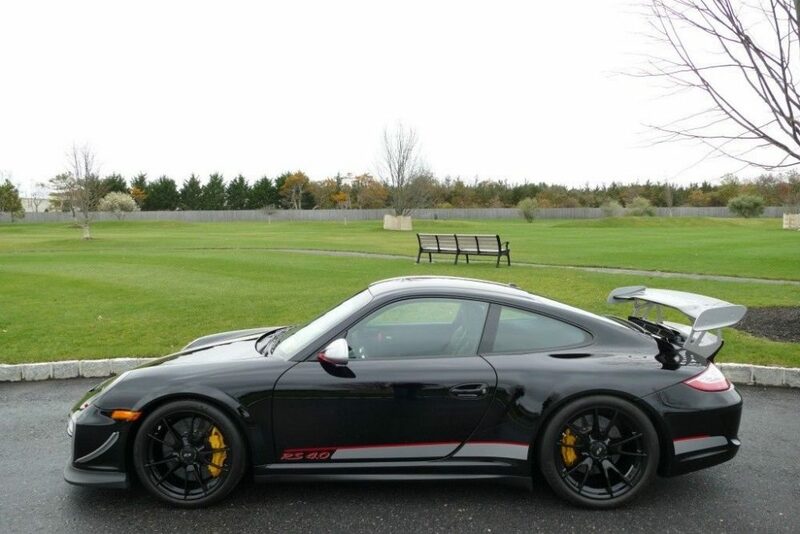 This is a Black 2011 Porsche 911 GT3 RS 4.0 with 3,743 miles on it. This is the last of the breed produced for the 997. Only 600 were made in total with 156 of those coming to the US (I’ve actually seen varying numbers on that one but it’s around there). 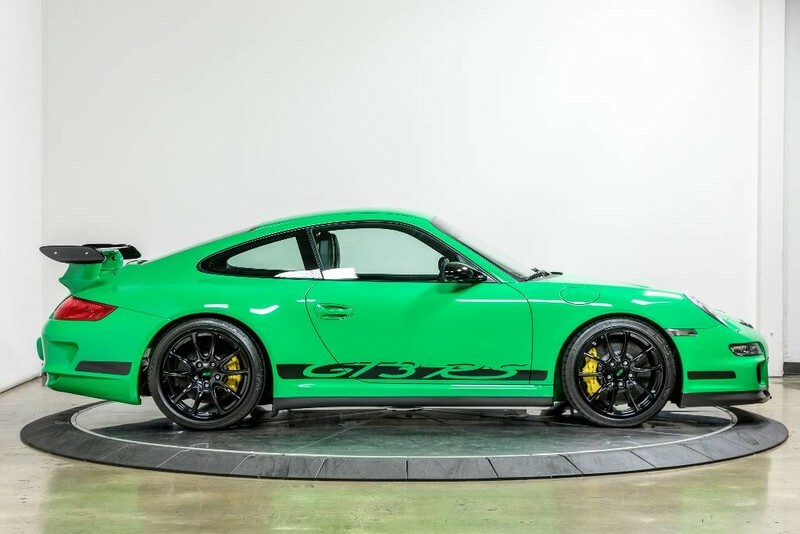 They are purported to be the last manual transmission GT3 RS that Porsche will produce. Hold on to that point. It also is the last of the “Mezger” engine GT3 RS models that will be produced. So it’s got a lot going for it. I was particularly interested in finding a black one. I just missed one for sale on Rennlist recently, but as these things go another one popped up for sale. So here we are. Why black? First, because I like those better than the white ones. But mostly because there were a lot more white ones produced. While I can’t say this is 100% accurate I’ve seen quoted that only 36 of those that came to the US were Black. I certainly see far fewer of them. There are, of course, a few PTS examples running around and those are even more special. Good luck finding one. 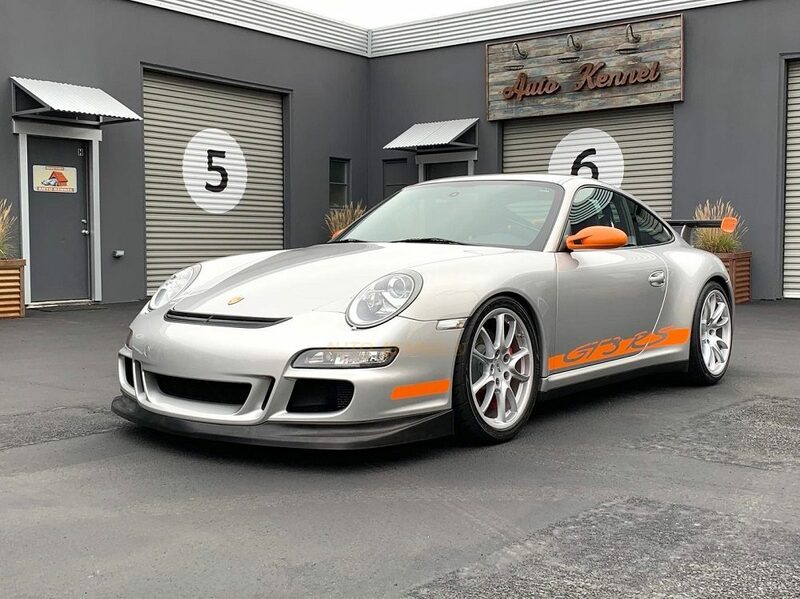 I have been thinking about these a lot because I think they are the car to have (along with the GT2 RS of the same year) for those really looking for a high-dollar collectible Porsche. They also may just be the best to have for those looking to spend time behind the wheel of the best Porsche can offer. Some might prefer the extra ferocity of the GT2, but I’ll take the GT3, no question. Of the various iterations of the GT3 RS to now exist the 997.1 is the one I most consistently return to in my mind. I think that is in part because it was the first model to make it to our shores, but for me it also is the model that brings everything together in just the right package. The Orange/Black ones remain the 911 I aspire to most. The 997.2 is the better car and some may find the looks better, but they’ll cost you a bit more and that nostalgia of being the first still brings me back to the 997.1. They look great, are great performers, and as we’ll see with this one can come in at pretty attractive prices. I featured one a few months back that pretty much is my ideal. Here we have another one though this time in the much less common color combination of Arctic Silver with Orange accents. It currently resides in southern California and sits with about 20,400 miles on it. As an added bonus, for extra cost it’ll come with a set of very desirable and fantastic factory GT2 seats. When searching for value among 911s I typically turn to the usual suspects of the 996 or, when I want to turn the clock back a bit, the 911SC. Where I rarely look is the 997 and I think that’s probably been a mistake. Naturally prices will tend to be a little higher for one relative to its earlier peers, but you are getting more car for that money. And while some buyers might still prefer a 911SC or 3.2 Carrera for the simple fact that they come from the 911’s air-cooled years, many are happy to have a modern Porsche with all of the refinement (and extra performance!) that comes with it. 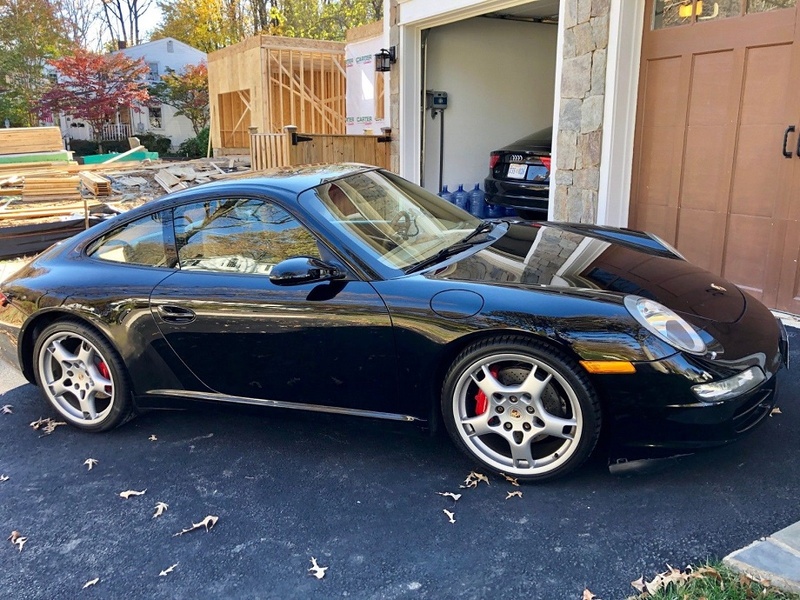 Here we have one that’s fairly standard as 911s go, but which does come in a nice specification and should come in at a fairly good price: a Black 2006 Porsche 911 Carrera S Coupe, located in Northern Virginia, with Camel leather interior, a 6-speed manual transmission, and a fairly reasonable 54,400 miles on it. I’m going to be upfront here, I don’t really like Sepia Brown on modern Porsches. 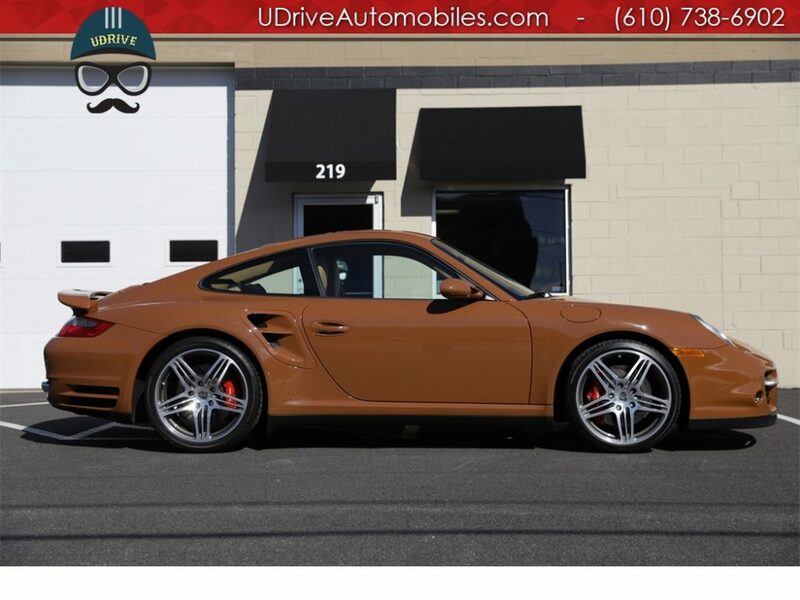 So this paint-to-sample 2008 Porsche 911 Turbo Coupe, located in Pennsylvania, isn’t the car for me. However, Sepia Brown is a historic Porsche color and I have seen a variety of examples from the early years where it did look quite good. It is a color that has its fans. I just don’t find there to be enough areas of accent or trim on something like the 997 to help break things up. Being a non-metallic color it all ends up looking a little too flat and a little too brown. Perhaps on a GT2 or GT3 RS, with their various vents, wings, and strakes along with ample black trim, it would look quite good. In fact, thinking about it, that just might work. Nonetheless, this particular 911 Turbo does look in remarkably good condition and with only 10,870 miles on it the mileage is quite reasonable as well. So don’t worry about whether I like it. It’s a good one.